Art is crucial in a child’s development. Children can improve their motor skills just by picking up a pencil, paintbrush, roller or sponge. Their first impressions of mathematics come from colours, shapes and patterns, and their first experiences of material science may be in their choice of chalk or paint or lead. In fact, the act of creativity itself gives them self-confidence. So it’s no wonder that so many picture books, activity books and non-fiction for young children use art as a basis for story, information and play. More than ever, in a world filled with marketing logos and graphic design it’s important for children to learn discernment around pictures – what is each piece of visual information showing them? How can they interpret it, criticize it, learn from it? And what better way to teach them cultural awareness than through picture books that pick up on great art. (And there are fun references for adults too). This is the latest adventure about our two endearing canines, Shifty and Sam, one time robbers who have reformed and become famous bakers. The two dogs are in Paris to bake a gingerbread Eiffel Tower in their latest rhyming picture book. 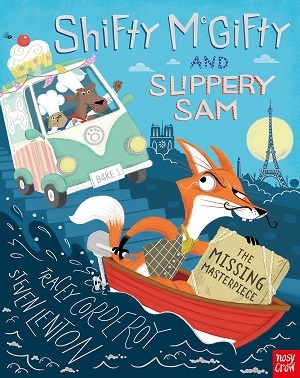 But of course, there is trouble afoot in the art gallery, and when art thief Monsieur Sly the fox steals the masterpiece a chase down the Seine ensues. With mischief galore, and Parisian images, as well as dogs taking the place of humans in familiar famous paintings, this is a light and scrumptious read. A colour palette that brings out the essence of Paris with its café awnings, trees in blossom, and busy sidewalks makes this a truly European holiday read. As well as the French landmarks, there is great characterisation that follows through the story (as always in this series), a superbly baked plot and numerous details, including introduction to French vocabulary. C’est tres bien. You can buy it here. And I have one signed copy to give away! Just find me on twitter @minervamoan and RT the link to this article. 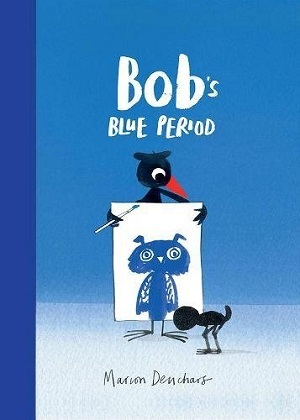 Continuing the theme of animals and art, Bob’s Blue Period explores the emotions of feeling sad. 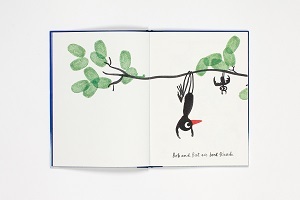 Bob the bird’s best friend is Bat and they love to paint together. But one day Bat goes away, and Bob is left feeling sad. When he paints, everything is blue. Eventually, the other birds show Bob a beautiful world of colours in the sunset, and he begins to see how he might continue on without his friend – and then Bat returns. As well as exploring an artist’s use of a palette to express himself, the book encourages a sense of perseverance, of seeing how important it is to recognise the good in the world even when feeling down. And in front of this message is a huge amount of humour and expression in the illustrations. Deuchars draws Bob from beak to toe with drama and pathos, exploring all his activities and all his thoughts; from laziness and contentment whilst playing computer games, to concentration at cricket, to despair when Bob is shown slumped on a chair. 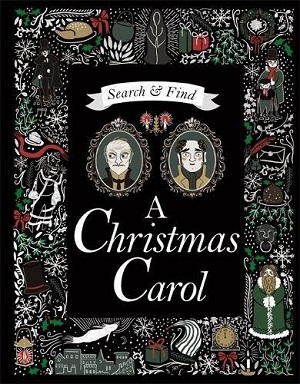 The adult can spy references to famous artists too, and will bask in the beauty of the book’s illustrations. A blue period to treasure. You can buy it here. 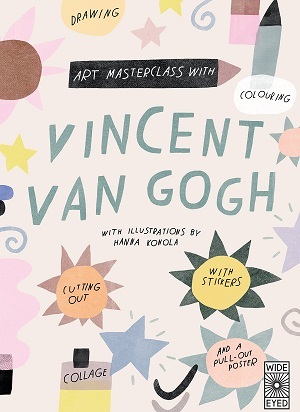 This great activity book takes the young reader through all the elements needed to understand Van Gogh’s painting style, and to try to mimic some of the techniques. The book is methodical in approach, leading the reader through who the artist was, and a timeline of his life, before getting into the nitty gritty of which tools to use – how to get the feel of the pencil or brush, and then graduating to copying, making marks, looking for ways to create perspective and mood, adopting different colour palettes, and understanding Van Gogh’s own grid system. It also looks at a painting’s arrangement, and steers the reader/artist through various famous paintings and formats, including landscape and still life. There are lots of ‘extras’ at the end of the book too, including stickers and a pull-out poster, which can be used within the book to create the reader’s own masterpiece. 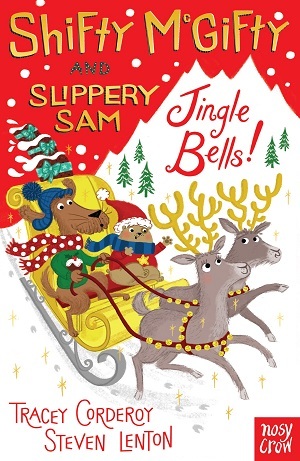 This is a well-thought out and informative picture book, with no activity too difficult for the reading level. There’s also plenty of stimulus for thought around the paintings: including true representation, emotion and using outside inspiration. Really fun and educational too. You can buy it here. An intriguing picture book, with much to discern and yet also leaves the reader slightly puzzled. The book is presented as a series of portraits of familial members – the father dog – dressed in a sports coat, tells his child about the different portraits in the family hall. Behind each portrait though – of each ‘great dog’ – is an illustration that belies this truth. The ‘great police officer’ for example, a proud bulldog, is seen through the gatefold as missing the crime that is going on behind his back. Likewise the ‘great teacher’ is seen behind the portrait as letting the children run riot in the classroom. Throughout the book the child of the father dog asks ‘What About Me?’, the implication being that the child wants to know if he/she will also grow up to be great. The twist at the end is that the child is revealed to be a cat – ‘You will be a great dog or great cat,’ according to the father, and so the book turns into a tale of unconditional love rather than familial pressure. 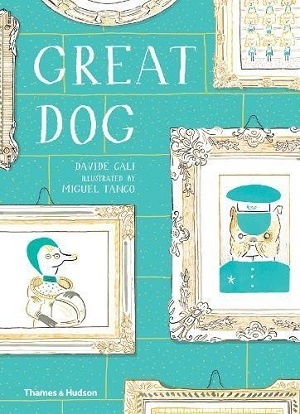 An odd book in some ways, but fascinating to explore the intricate line drawings behind each portrait to see the dog’s true character, and a lovely sophisticated colour palette of gold and turquoise, which adds an artistic emphasis to the book. You can buy it here. Was it the roving eyes on the cover (they actually move!)? The use of the word In-Fred-ible? Or simply the cuteness of his face? I can’t be sure, but I fell in love with Fred the panda instantaneously. It was love at first read. 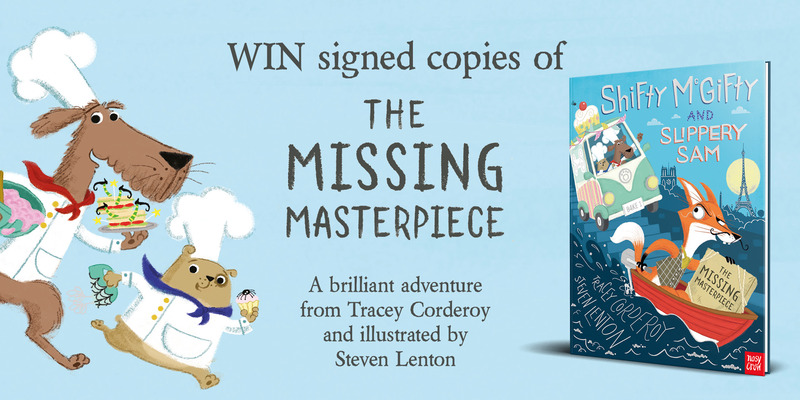 Let’s Find Fred is the latest offering from author/illustrator Steven Lenton, illustrator of Shifty McGifty by Tracey Corderoy, various Frank Cottrell-Boyce books, and Princess Daisy and the Nincompoop Knights. 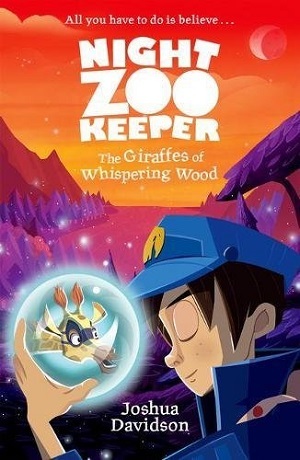 Each night Stanley the zoo keeper tucks up his animals in their beds, but by the time he reaches Fred to read him his bedtime story, Fred has escaped – on an adventure filled with dreams of candyfloss, balloons and parties. As any parent of more than one child will know, this is a common occurrence – the little rascals often escape from their beds in search of night-time adventures. What follows is a panda chase through the town. 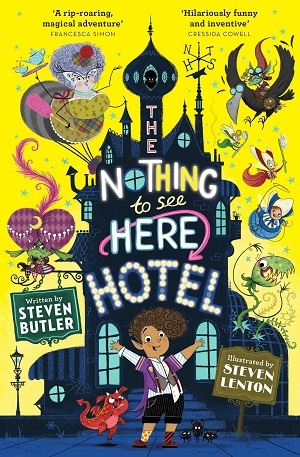 This is where the book turns magical, for each spread is set in a different vicinity of the town, and unfortunately for Stanley, there are panda images everywhere, or things that look suspiciously like Fred, but aren’t – from black and white dogs in a limousine, to black and white footballs in the newspaper. To date, Let’s Find Fred is certainly my busiest book! There is a fun narrative that follows the exhausting chase of Stanley and Fred, but the most fun is the re-readability, and oodles of extra characters and little relationships to spot in all the larger ‘zoomed out’ spreads. 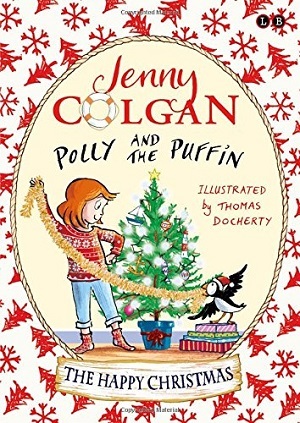 Because there are so many characters in the book I thought it would be great fun to base some of the characters on real people, and a few characters mums and dads might know too – extra talking points for family discussion if you like! One of the first characters I added was Kylie – there was always going to be a carousel in the funfair spread and it instantly reminded me of the hilariously juddery Carousel in the ‘Got To Be Certain’ video – watch it on YouTube with a cuppa, it’s really (quite) funny. I was at a wedding recently and I took along a copy of Fred for the children there – the first read through went well, but then what followed was LITERALLY HOURS of Fred-based finding! We turned the book into a game of ‘Can you find the…’ and it entertained not only the children, but also the adults, who we encouraged to look for the tiniest of details. My tip is to start by finding Fred, then the white butterfly, and then start finding one-off things in the book such as the veeeeeeeeeery long sausage dog (somewhere in the gallery). I really hope that everyone gains as much enjoyment from Fred, as I and the Scholastic team had when making it! So many fantastic picture books have been published so far this year – I wanted to tell you about a few of my tried and tested favourites. Then everybody cheered, “Well, that’s a turn-up for the books! The pictures are bold and fun and colourful. 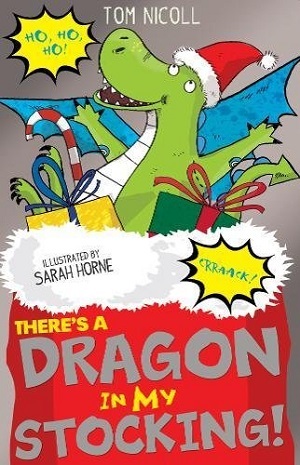 A great twist on stereotypes, and characters with impeccably drawn expressions. I had to read again and again! A storming success. You can buy it here, or purchase on the Amazon sidebar. Another rhyming tale, but this one with extremely complex vocabulary. Don’t let that put you off though, we adored exploration of the new sounds and meanings, from colossal to rogue to halitosis! Oh yes, these are revolting pirates, but they get their comeuppance at the end, thanks to a clever child and savvy use of shadows. 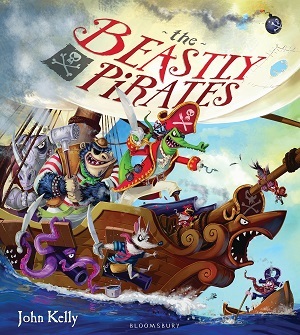 Many different types of pirates are depicted here, from Wicked Cass the Pirate Lass to Admiral Archibald the Angry – John Kelly plays with language with great ease – but these aren’t even the beastly pirates. The beastly pirates gobble up the others with glee, led by Captain Snapper. 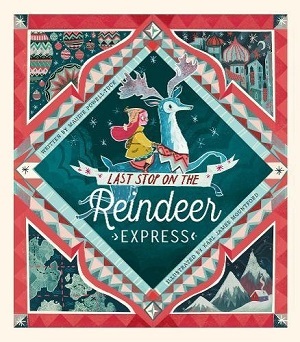 The pictures are as intricate as the text – packed with detail, colour and daring. Lots to look at – lots to take in. One to be savoured. You can buy it here, or purchase on the Amazon sidebar. Another one that packs in the detail, but in pictures this time, is Follow That Car. 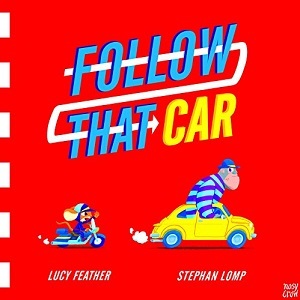 This is a completely different type of picture book – in which the idea is that the reader traces a path through the different landscapes to help the police mouse on the motorbike chase the gorilla in the yellow car. 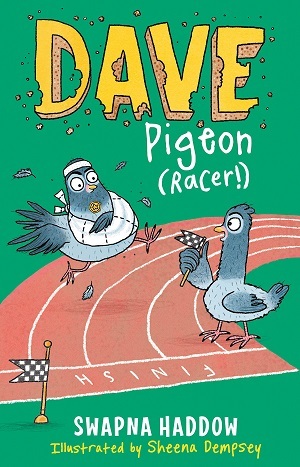 Slightly reminiscent of Richard Scarry, this is another triumph for Nosy Crow publishers. The text is merely to help the reader find a pathway through each page; the roads are as messy as spaghetti junction. The mouse has to avoid road blocks, train tracks, fallen trees, sheep and ducks on the road – there are endless dead-ends. This is another highly colourful book, bursting with animals and transport. Each page is a feast for the eyes. Loved by every reader to whom I showed it – from age 5-20!!! You can buy it here, or purchase on the Amazon sidebar. 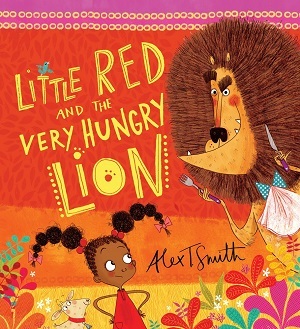 This super twist on Little Red Riding Hood, by the clever writer and illustrator Alex T Smith, should be in every school library. Little Red Riding Hood has always been depicted as being fairly nifty and astute, from the first tellings to Roald Dahl’s protagonist who ‘whips a pistol from her knickers’. In this version, nicely transplanted into a jungle region rather than the woods, the wolf becomes a lion, and Little Red sees through his tricks immediately. Rather than conquering him, she tames him instead (after doing his hair and teeth and changing his clothes), and on the last page she is silhouetted playing skipping with the lion, her father and her poorly aunt (replacing the grandmother). Alex T Smith has had great fun depicting both Little Red’s jaunt through the jungle to reach her aunt, but also the lion’s descent into grumpiness as his plan fails and Little Red gets carried away doing his hair! It’s fun, subversive, and inspiring, showing children how to twist a tale, and use imagination to recreate old classics. Thoroughly enjoyable. You can buy it here, or purchase on the Amazon sidebar. 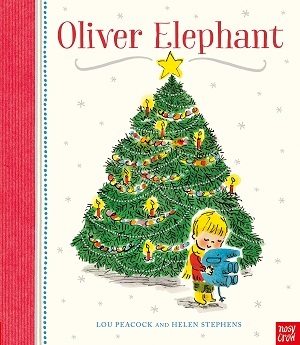 For slightly younger children, but probably one of the most adorable books I’ve spied this year. 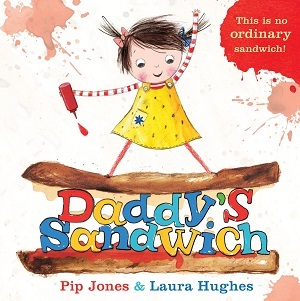 Pip Jones has captured the little girl’s language expertly, from the moment she calls ‘Daaaadddddy’ on the opening pages to her vocabulary such as ‘teeny’, and the varying sizes of text emphasising words such as ‘ages’ and ‘not’! The little girl attempts to make her Daddy a sandwich with everything in it that he likes – except this little girl is putting in EVERYTHING that Daddy likes, from his camera to his bike helmet. This is one very large sandwich! Laura Hughes’ illustrations are just the right mixture of cute and vivacious, the perfect ingredients for a picture book that any child will want to read again and again. You can buy it here, or purchase on the Amazon sidebar. “Nine little dinosaurs think the world smells great! 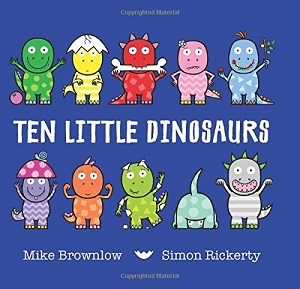 The slight apprehension that these dinosaurs might be disappearing because of some danger gives the book edge, and Simon Rickerty has plumped for simplicity in the drawings – every page is a delight of simple patterns and rainbow colours – which makes it stand out and appeal massively to the target audience. Much enjoyed…Roar! You can buy it here, or purchase on the Amazon sidebar. 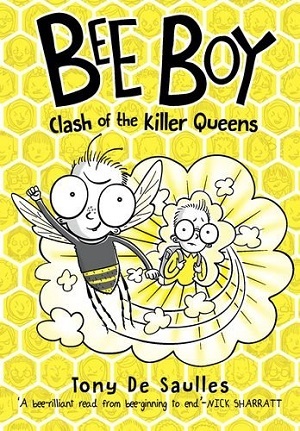 An amusing tale involving superheroes, food and school bullies. Rory Rooney is locked up as a medical mystery when he unexpectedly turns broccoli green on a school trip. The scientists aren’t sure if he’s carrying a contagious disease or if his colour is the result of something he ate. When Rory discovers another boy has also turned green, and not only that, but he’s the school bully and they’ve been locked up in isolation together, he realises they will have to work as a team to prove to the world that they are superheroes and must escape – after all, the Incredible Hulk and the Green Goblin were green. Cottrell Boyce manages to make ordinary London extraordinary as the hero and his classmate roam around a vibrant night-time London, having weird and wonderful adventures, their friendship developing and cementing the further into the book you delve. Brimming with humour and likeable characters, this was a gripping read from start to finish. Giggles a-plenty and great visual scenes that almost beg to be made into a movie. 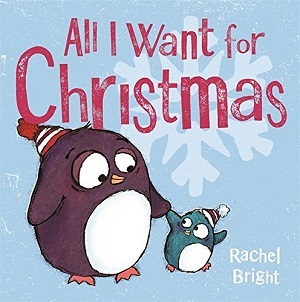 Add in some girl power, a penguin and a friendly prime minister and you have an immensely lovable story. 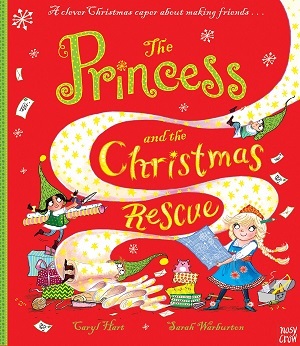 Frank Cottrell Boyce has an easy-going natural storytelling voice that manages to weave humour, great adventure and pathos into a book all at the same time. Modern London is adroitly depicted in the book, with the climax reaching the dizzying heights of the Shard. Not to be missed by your children of eight years and over. Publishes 26th March 2015.